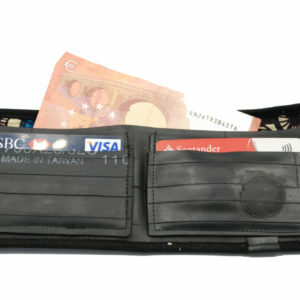 Ideal for international travel, this handy document wallet holds your passport, flight tickets and any credit cards safely. 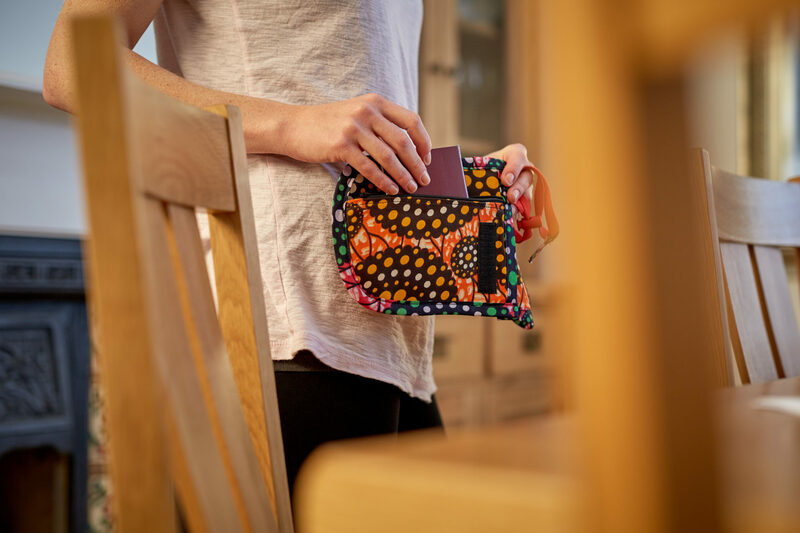 With two wearable options; a cross body strap or handy belt loop, meaning you can keep your valuables secure but easily accessible for ease of travel. There are two large internal pockets and a smaller zipped pocket, all hidden under a Velcro fastened flap. 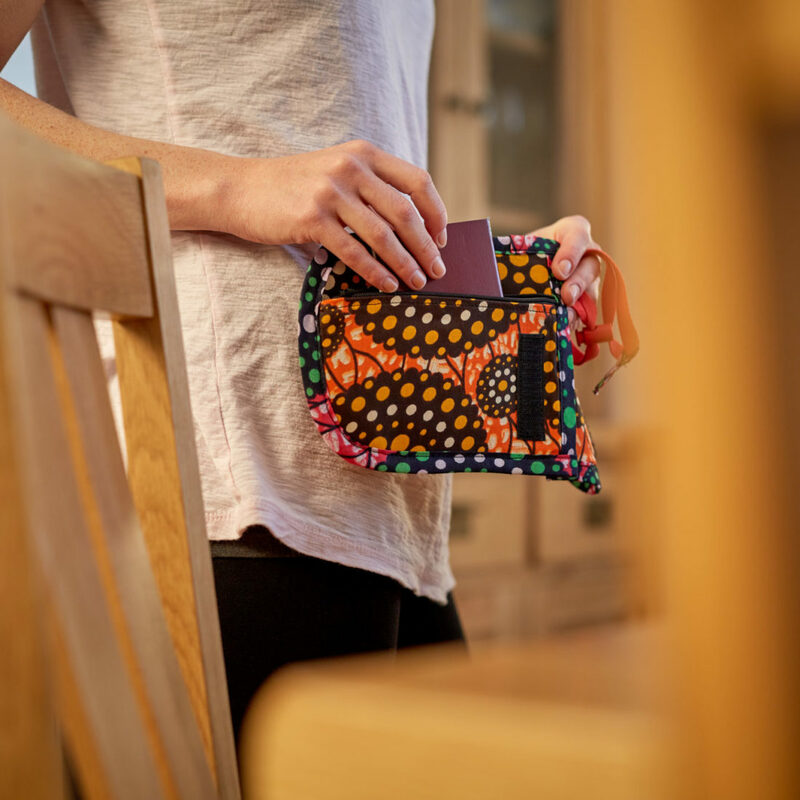 Handcrafted in Malawi from local wax print cotton known as Chitenge, fabric design will vary.